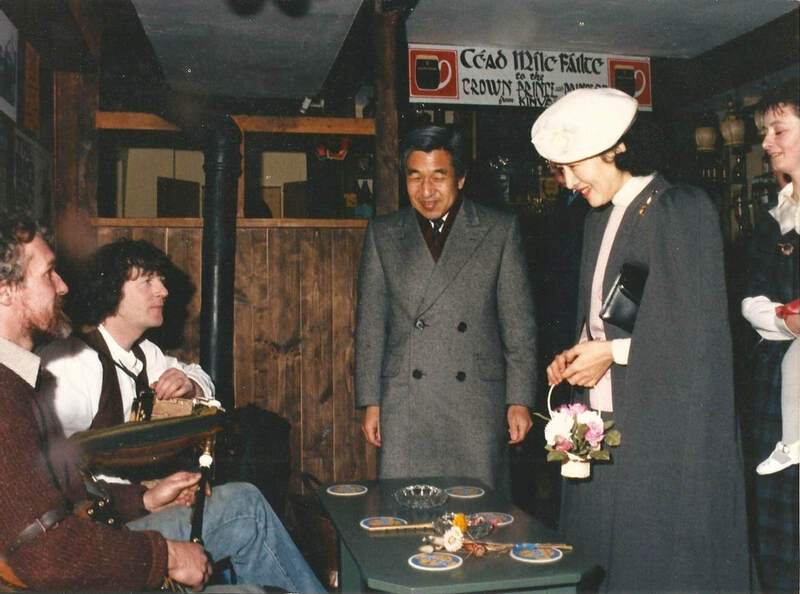 Charlie Piggott & Eugene Lambe playing in The Ould Plaid Shawl for The Emperor & Empress of Japan (then Crown Prince & Princess) on their state visit in 1985. 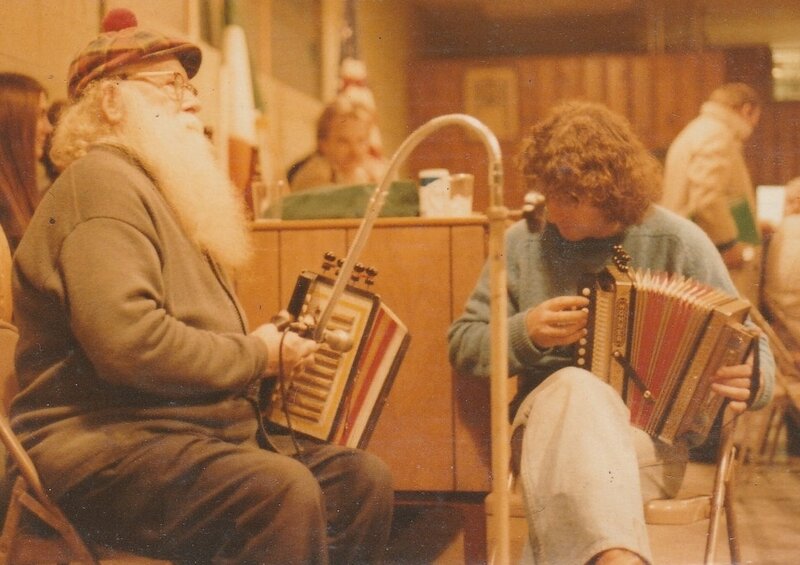 Melodeon players Michael J. Kennedy and Charlie Piggott in Cincinnati, U.S.A. in the late 1970s. 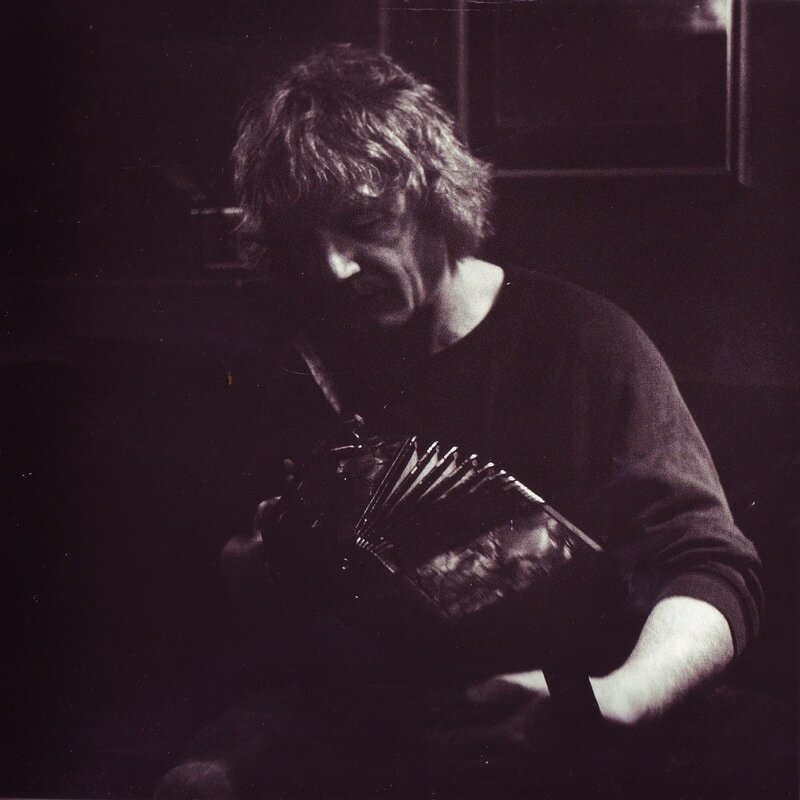 ​ 'Jack Walsh's Jig' was the tune being played (on identical instruments). 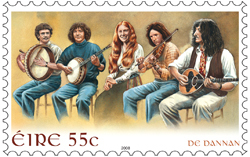 ​In 2008, De Dannan were commemorated on an Irish postage stamp.